Dr. Rimma Gelbert of Brooklyn, New York, is an ideal choice for your primary care physician. 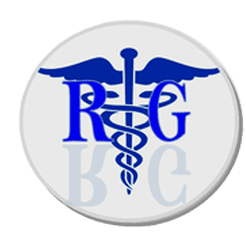 From her private practice, Rimma Gelbert Medical PC, she offers preventive and curative care across a wide range of adult health issues and will head up your team of healthcare professionals to give you the best care possible. To coordinate your health care plan, call or book your appointment online with Dr. Gelbert today. As a primary care physician, Dr. Gelbert is most concerned with providing you with all the resources you need to both prevent and cure both short-term and long-term health concerns. Primary care is your first stop for creating a life-long health care plan. While often your first interaction with a primary care physician may be due to a health crisis, you can depend on them long after that issue is resolved. The focus of primary care is disease prevention, health monitoring, health maintenance, counseling, as well as diagnosis, treatment, and follow-up for short- and long-term health conditions. Dr. Gelbert also coordinates your health care team, if you have certain medical needs which require a specialist. What are some primary care preventive services? What services are available for diagnosis with primary care? Dr. Gelbert specializes in the diagnosis, treatment, and follow-up care of conditions of the musculoskeletal, circulatory, neurological, and gastrointestinal body systems. Quality healthcare often requires that your medical team be expanded to include specialists in other fields of medicine. If that’s needed, Dr. Gelbert will act as the coordinator of your team. As your primary care physician, she will make it her priority to oversee every level of care you receive. Doing so ensures that each step of your care is integrated, providing the best possible overall specialized health care plan for you. To start your consultation with Dr. Rimma Gelbert and to create a long-term health care plan that works for you, call or book your appointment online today.